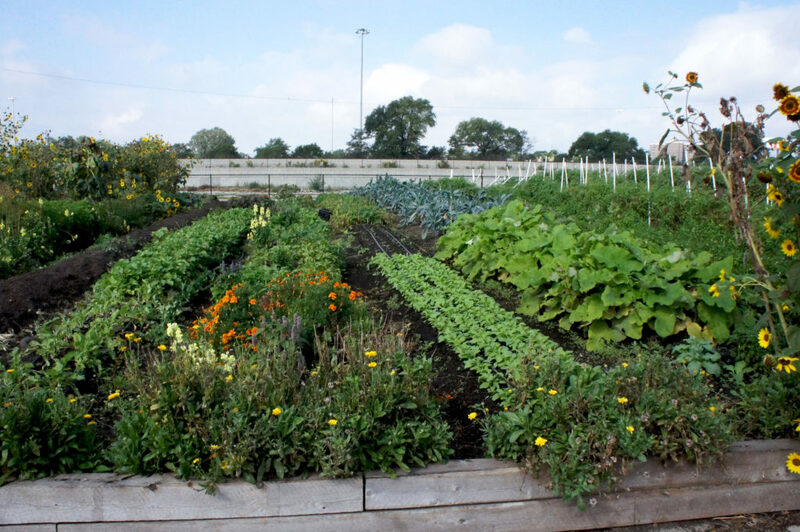 Urban agriculture is on the rise. Farms and gardens are popping up in vacant lots, on rooftops, and in indoor spaces across the country. Chicago is a national leader in this movement. 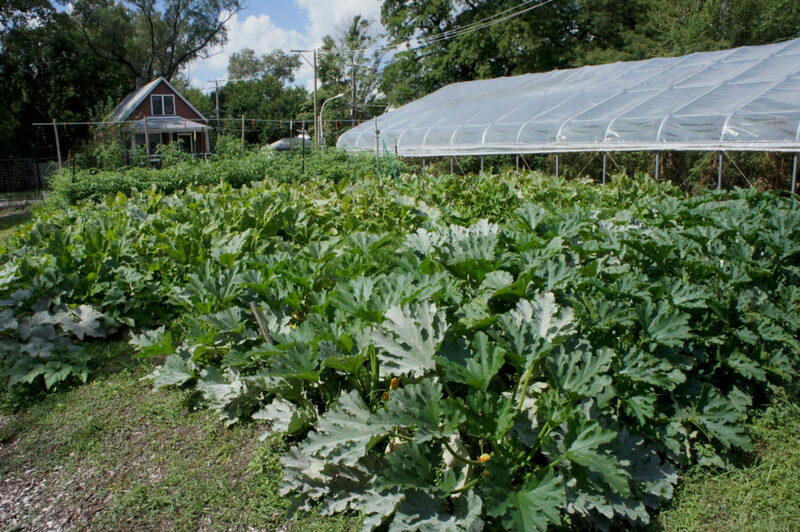 With more than 800 sites — according to The Chicago Urban Agriculture Mapping Project — Chicago continues to expand local food production while serving as a model for other cities. Besides boasting Gotham Greens, the world’s largest rooftop farm, and FarmedHere, the nation’s largest indoor aquaponic farm, there are a multitude of urban ag initiatives that deserve recognition for their inspiring work. And FamilyFarmed recently hosted an Urban Agriculture Bus Tour to explore four of these exciting initiatives. Underscoring the potential for urban farming to revitalize inner city neighborhoods, all four are located in parts of the South Side that have seen hard times: a Windy City Harvest farm in Bronzeville; Growing Power’s main Chicago location in McKinley Park; The Plant, an indoor and outdoor farming and food business incubator in Back of the Yards; and Growing Home, in West Englewood. All of these projects provide training and growing opportunities for disadvantaged employees. Two of them, Windy City Harvest and Growing Home, have core missions of working with and providing job skills to ex-offenders and others who have challenges finding employment. On the bus, tour leader Breanne Heath, who grows fruit at Pie Patch Farm on the South Side, discussed some of the issues surrounding urban agriculture in Chicago, including soil health, zoning regulations and access to land. Windy City Harvest’s Legends South Farm occupies two-plus acres at 46th and Federal, just east of the Dan Ryan Expressway. It is hard to imagine that this lush oasis was formerly the Robert Taylor Homes, a sprawling low-income high-rise apartment complex torn down after it was plagued by crime and other problems. Standing beneath a patch of bright yellow sunflowers, Kelly Larson — Windy City Harvest’s director of operations — explained the work that Legends South does to support beginning farmers, through its incubator program and a community garden for local residents. Each of the six farm businesses in the incubator program is independently run by graduates of Windy City Harvest’s nine-month Apprenticeship Program and the Business and Entrepreneurship for Local Foods course. With ⅛-acre plots on which to hone their skills, the farmers learn and benefit from all that Windy City Harvest has to offer. These benefits include access to ready-to-farm land, access to markets to distribute their products, a shared wash-pack station, mentoring support and technical assistance, and farming tools and equipment — all coveted resources for a beginning farmer. Lush rows of vegetables and flowers cover the roughly two-acre Windy City Harvest Legends South Farm on Chicago’s South Side. Just beyond are commuter rail tracks, and beyond that is the Dan Ryan Expressway. One problem that Windy City Harvest is trying to address is the high price of land, which makes it hard for the farmers who cycle out of the incubator program to establish their own businesses. The organization is working with Brinshore-Michaels, its land developer, on a planned second lot that will give farmers access to cheaper land after they outgrow the incubator program. Both the U.S Department of Agriculture, which provides funding for Windy City’s programs, and Brinshore-Michaels have seen the great impact of the work they are doing. 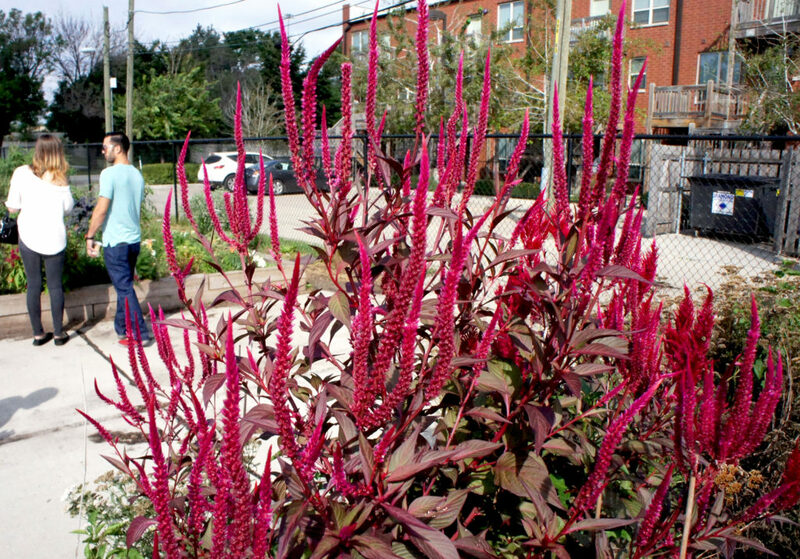 Amaranth grows at the north end of the Windy City Harvest farm. Just beyond is low-rise housing that replaced the towering, troubled high-rise apartment buildings of the Robert Taylor Homes, which formerly occupied this site. Growing Power is a pioneering urban agriculture organization, and Program Director Gillian Knight provided a short history before the grand tour. Will Allen, one of the most high-profile leaders in the Good Food movement, started Growing Power in 1993 when he bought a vacant lot with a storefront and greenhouses in Milwaukee. His idea was simply to start farming and sell his produce in the store. But when neighborhood kids came by, he realized they did not know where their food was coming from, so he designed a program that gave teens the opportunity to work and grow food for their community. Growing Power and its founder Will Allen have pioneering urban farming techniques such as the hoop house on the left, and also focus on vertical-growing or trellised plants that save space in their small urban farms. Growing Power’s Chicago operations, run by Erika Allen, the founder’s daughter, were launched 13 years ago. There are six sites around the city, including the main one at 34th and Iron St. visited by FamilyFarmed’s entourage. On the tour Knight talked about her favorite subject: soil. 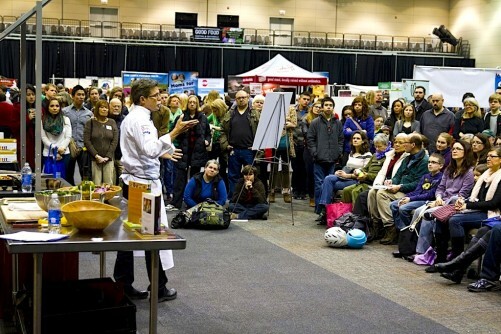 Will Allen is outspoken about how food plants need to be grown in soil and is a leading national advocate of composting. Growing Power produces all its own compost at the Chicago site through a closed loop system involving diverse plants, non-meat food scraps and vermiculture (the use of worms to build up soil volume). Since space is at a premium in the city, Growing Power has developed farming practices with plants that grow up on trellises rather than out. 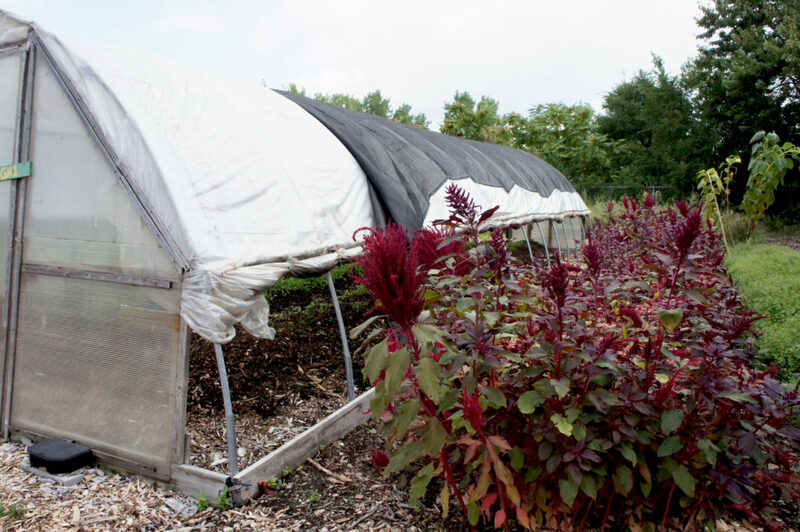 With eight hand-built, production-focused hoophouses, one compost hoophouse, and one chicken/goat “bachelor pad,” its farmers produce food and make soil year round, which is impressive considering Chicago’s cold winter climate. They also experiment indoors with aquaponics, in which fish are raised to produce nutrient-filled waste that nourishes the plants. All of this work would not be possible without the Growing Power Chicago Youth Corps, an educational program that engages and employs more than 300 young people annually. Through hands-on instruction and mentorship, the teens learn all aspects of urban farming and community food system development while contributing to all phases of farm production. 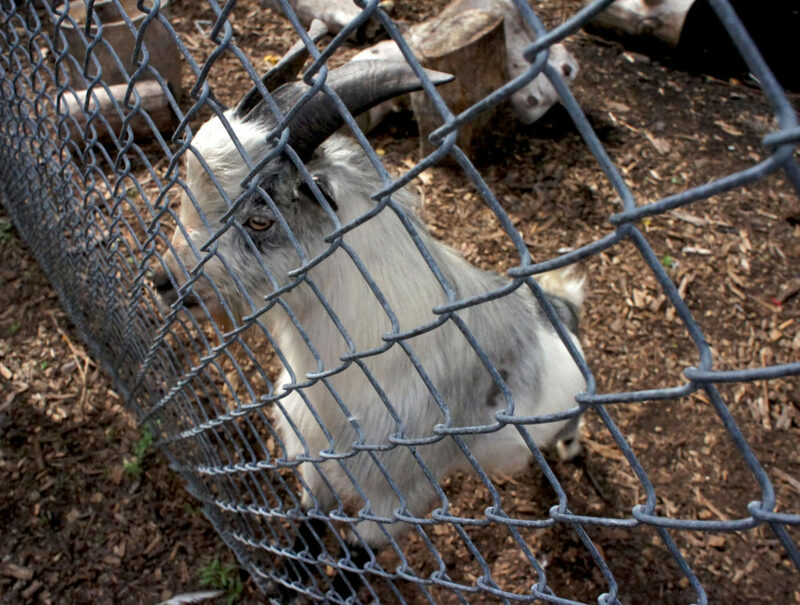 Growing Power also raised pygmy goats at its Iron Street Farm in Chicago. The Plant, an industrial reuse project located on 46th Street in Back of the Yards, is about two miles due west of Windy City Legends South. The neighborhood gets its name from the old Union Stockyards (which closed in 1971), and The Plant is located in a 94,000 square foot former meat processing factory. The Plant is home to several food businesses focused on reducing waste. This includes Pleasant House Bakery (which provided fresh baked goods to the FamilyFarmed tour), a coffee roastery, a craft beer brewery, a cheese distributor, a Kombucha producer, a local produce distributor, two hydroponic farms, a mushroom farm, an aquaponic farm and two outdoor farms. It also has a beautiful flower garden and honeybees on their roof. In 2010, Bubbly Dynamics, a development business with a social mission founded by the visionary John Edel, bought the space and began to strip it down. They aimed to repurpose as much as possible, which is why you can catch glimpses of the past as you tour the space — including the conversion of what was a giant metal meat smoker into restroom facilities. The Plant is all about re-using waste and closing loops, and the main attraction on that front is the giant anaerobic digester, which is under construction and about 75 percent complete. Kassie Hinrichsen, education and outreach manager at The Plant, explained how “the digester will process 30 tons of waste a day, adding up to about 11,000 tons a year.” All the food waste from the businesses, including meat scraps and bones, will be thrown into the digester and broken down into a solid, a liquid and a gas. The solid and liquid will be sold to soil companies and local farms, while the gas, which is very high in methane, will go into a generator that will power the entire building. 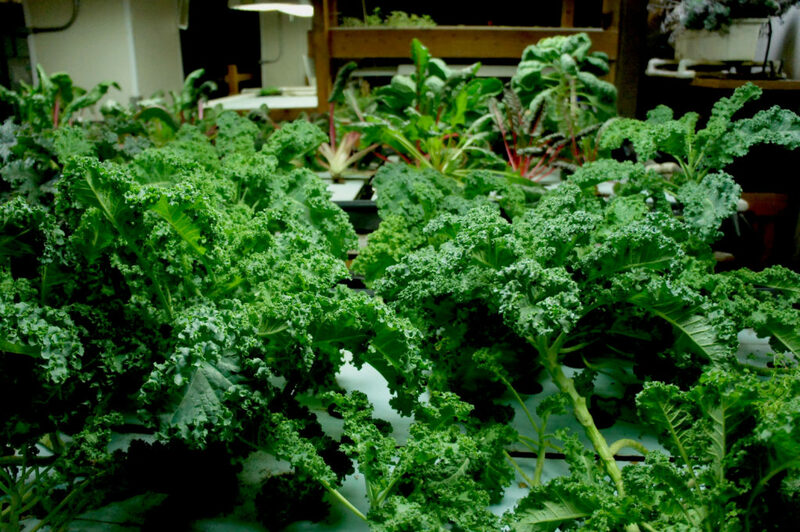 An experimental indoor farm at The Plant in Chicago grows kale (foreground) and chard. The businesses in The Plant have hardly waited for the digester to be completed to create a cycle of use and reuse. Organic mushroom farmer Belkacem El Metennani, founder and owner of Fruiting Mushrooms, uses sawdust, the skin of the coffee beans roasted on-site (known as coffee chaff) and spent grain from the brewery to grow three types of gourmet mushrooms: Oyster, Lion’s Mane, and Reishi. Inside a high humidity mushroom chamber that formerly was a freezer, he pokes holes in large hanging bags filled with these waste products, and the mushrooms grow out of the holes as they search for oxygen. Situated just a few steps away from the mushroom farm in the basement is The Plant’s Aquaponics Demonstration and Education Room. “We use tilapia because they’re very resilient and like being in a smaller space,” Hinrichsen explained. About 125 tilapia in tanks produce ammonia through their waste. The ammonia is then broken down by bacteria and microbes to capture nitrogen, which is used to nourish plants. As the plants soak up the nutrients, they filter the water and add oxygen; the water is then cycled back to the fish tanks, and the whole process begins again. Growing Home is located at 59th and Wood, in a part of the city that includes some of its most economically distressed and crime-plagued blocks. In fact, the nonprofit group exists to provide training, counseling and job placement assistance for local residents who either are ex-offenders or have other personal issues that make it hard to find jobs. Long before the recent opening of a Whole Foods Market store about two miles away in Englewood, Growing Home was working to restore jobs, hope and opportunity in the area. It now has two nearly adjacent farms with a third being planned on a vacant site that once hosted a supermarket. 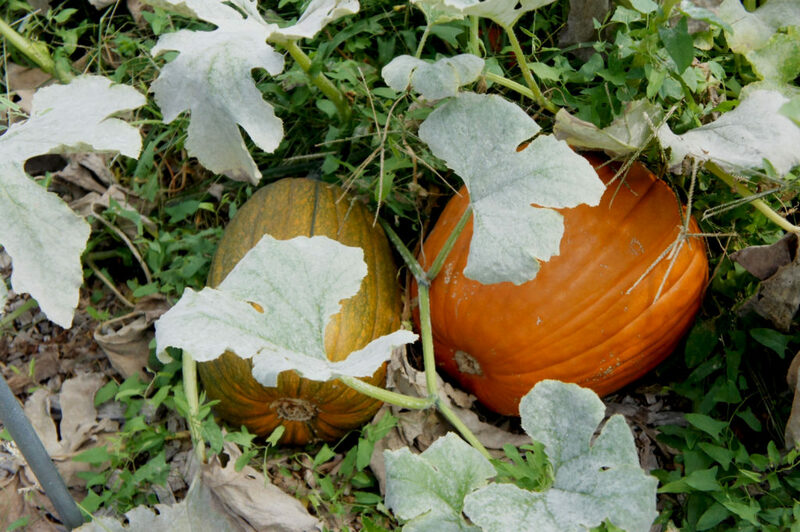 Kristin Miodonski, Growing Home’s outreach director, explained the origin of the organization as she stood in front of their verdant field and high tunnels filled with an abundance of fall crops. Growing Home was established in 2002 as a rural farm 80 miles outside of the city, with the purpose to help people find careers through skills learned while farming. But in 2005, the community of Englewood did a quality of life assessment and decided that it wanted to be a food destination instead of a food desert, and this laid the groundwork for Growing Home to move their operation there. In 2006, Growing Home moved onto two vacant lots and paid just $1 to Neighbor Space, a public-private land trust that owned the land. The land was theirs to keep for 99 years with only one stipulation: They had to do agricultural work. Currently, their harvest includes 50 different types and 200 varieties of vegetables, and they grow it all from seed since the farms are USDA certified organic. 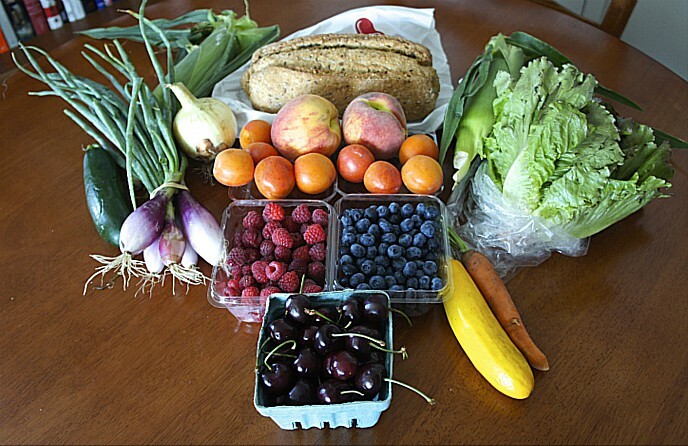 While some of the produce can be found at big Chicago farmers markets, such as Green City or Logan Square, at full price, Growing Home also sells within Englewood at a 40 percent to 60 percent discount and accepts WIC and LINK benefits. Any leftover vegetables are donated to food pantries, which allows 92 percent of produce grown to end up on a plate somewhere. While the produce is amazing, the job training programs Growing Home hosts are even more impressive. Each year they welcome three cohorts onto the farm for a 14-week paid job-training program using agriculture as a tool for learning transferable skills. The program participants get paid for their time on the farm and in the classroom, and at the end of it all receive a program certificate and a ServSafe Food Handling Certificate along with valuable job skills: 80 percent of each cohort’s participants and 85 percent of those who graduate have secured employment by the time they leave the program. Growing Home’s certified organic farm has a mixture of food plants grown in hoop houses and in open air. Its two current growing sites (with a third to come) are located in a residential area in the South Side Chicago neighborhood of West Englewood. After learning about each of these leading initiatives, it is clear why urban ag is so critical for the city of Chicago. The benefits of these programs are numerous, and the city is taking notice. With each visit, it was exciting to hear that, despite the difficulties urban farmers face, all of the programs are growing and expanding to serve their communities, conserve energy, create jobs and build a more sustainable local food system. FamilyFarmed’s next Urban Ag Bus Tour will be next spring, and you are invited to join us. This entry was posted in Direct Farm Marketing, Family Farms, Farm businesses, Farmer training, Food and community, Good Food and economic development, Local Food, Organic farming, Small Farmers, Urban farming and tagged Chicago urban farming, FamilyFarmed, Good Food economic development, Good Food job creation, Growing Home, Growing Power, Pie Patch Farm, The Plant Chicago, Urban agriculture, Urban farming, Will Allen, Windy City Harvest. Bookmark the permalink.